Impromptu speaking can be enough to frighten even the bravest of souls. If that's you, take heart. Being asked to speak in public is a HUGE challenge for many. And being asked to speak spontaneously as well as publicly can catapult the task straight into the very-difficult, to-be-avoided-at-all-times-I'd-rather-die category. Having acknowledged your fear let's KISS it better! 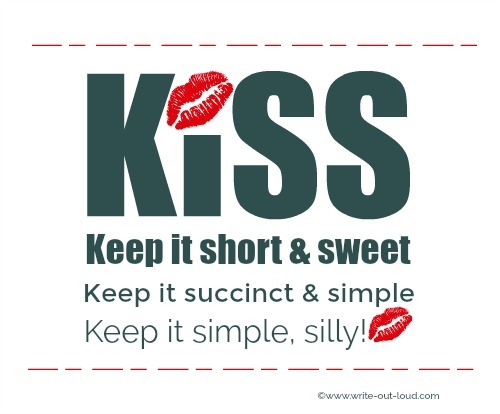 The KISS principle (Keep It Short & Sweet) will give you a formula applicable to all impromptu speaking occasions. Asked to give a few words to conclude a business meeting? Have to make a presentation on the spur of the moment? You're asked for a quick summary of your company's latest developments. Whatever the purpose of your impromptu speaking, KISS will serve you well. Use the time you have between being asked to speak and actually getting to your feet to plan even if it's only a few minutes. If you're in the middle of a social event or busy meeting find a quieter corner to concentrate. Jot your notes on whatever is handy - a paper table napkin, the back of envelope..., putting down as many ideas as you can. Select ONE message (the best or strongest) from your notes to focus on. Write that down and any opening/closing ideas. Just like any other form of speech you require structure. You will need an opening, a body and a conclusion. Sort the body of your speech first using which ever of the impromptu speaking templates below best suits your topic. Take your focus or main point and expand it using one of these organizers. This will form the body of your speech. Are you here looking for information about impromptu speaking competitions rather than spontaneous or unprepared speeches? For an excellent collection of competition 'how-to's' ranging from organization of material to delivery and an example impromptu speech script click here. Point: The main point is that impromptu speaking is an extremely valuable skill to have. Reason: Being able to speak easily in public is empowering. Example: I can remember the struggle to overcome the fear of standing to speak in front of others. I was the original Mrs Blush and Blurt! But that is a dim and distant memory. Today I am more confident, more vibrant, more alive, more willing to take risks and to learn. Point: When a person is personally empowered to speak for themselves and others, they are stronger. The cause of the problem facing us today is XXXX. The effect of the problem is XXXX. The remedy for the problem is XXXX. 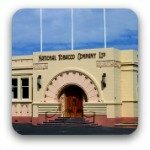 Before Napier (New Zealand) was a typical small provincial town filled with ordinary people leading ordinary lives. Then in 1931 the earthquake (the Event) struck. The result was devastation. The town was destroyed and people killed but out of the ruins there rose one of world's finest Art Deco centers. Having planned the body of your speech, now focus on your opening and conclusion. Take your lead from the impromptu speaking template you've chosen. If, for example, you've chosen Past, Present, Future you might open with a comment based on time. "Thank-you for invitation to speak to you about XXXX. To place this in context I'm going to take you on a journey. Are you ready? Firstly we'll go back in time, then we'll focus on what's happening now and lastly, we'll go forward ..."
To close, summarize your points briefly and if possible, make your final remark the clincher. Hurrying will increase any feelings of unease you have. Take your time. Breathe deeply. Get up from your chair slowly. Walk to the front calmly. Take your time to begin. Look around, smile. Make eye contact with one or two people in the room. Make sure you are standing on both feet about a shoulder width apart. Resist the urge to slump or fiddle or put your hands in your pockets. And remember to breathe! Use your notes as reminders only. Do not try to remember a whole speech. If you forget you'll get anxious. Instead move through the points you noted making clear transitions between each. Assume your impromptu speech is a conversation with a friend. This will keep your language natural and flowing. Avoid using vocabulary or jargon unfamiliar to your audience. 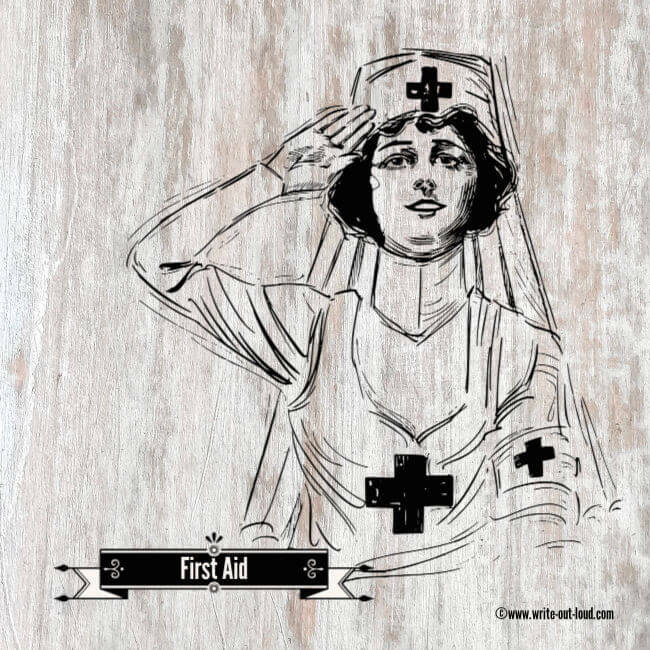 Use examples/stories from your own experience. This works on two levels. Firstly, it lets the audience see you as a real person and secondly, it gives you authority or a right to speak on the subject. You become credible. More on storytelling in speeches. An audience is far more likely to listen if you stay on target and are succinct. In fact they'll love you for it! If you do you transmit your anxiety to your audience. Remember the power of the pause. Take the time you need to marshal your thoughts together. Remember time appears slower to you. You may think you've stopped for an eternity but it's seldom perceived that way by the audience. They will think you are pondering your next statement or giving them time to consider your previous point. Ask for a drink of water. Explain your throat is dry. Take the time between someone fetching it and you taking a sip to gather your ideas. Paraphrase what you've already said. It will jog your memory into providing the next point you want to make. Get the audience involved and then answer their questions. And lastly, do remember impromptu speaking, like most skills, improves with practice. To help you get to where you want to be - an accomplished impromptu speaker - there are 50 impromptu public speaking topics here. That's enough for many hours of happy practice! Be kind but disciplined with yourself. If you really want to achieve, you will, but it does mean getting through the initial discomfort of trial and possibly error. Keeping it succinct & simple (KISS) will make a positive difference. Try it and see for yourself. I promise, it is doable! 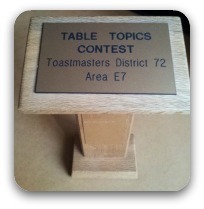 The photo is of my award for winning the impromptu speaking (table topics) competition between all the Toastmaster clubs in my area District 72 - E7. It's there as proof it's possible! Do you teach or lead a public speaking group? Check this out - One Minute Speeches! 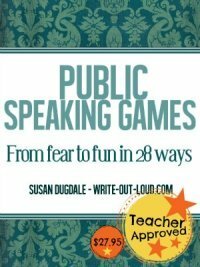 They're perfect for practicing impromptu speaking skills in a safe, non-confrontational way, and loads of fun. This is an instantly available package of printable topics + activity instructions. Have a look! "It usually takes more than 3 weeks to prepare a good impromptu speech." 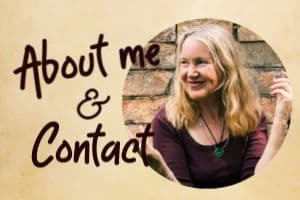 You'll find links to pages on how to deliver speeches, essential tips for overcoming anxiety, how to slow your speaking rate, how to develop vocal variety and more on the write-out- loud.com site map . Easy to learn, easy to practice, and very effective.